Thus, the purpose of the book is to give a very brief description of the typological functions and attitudes, so you can use it in a follow-up on a previous process with typology and get a brush-up on what the letters in your type profile represent. 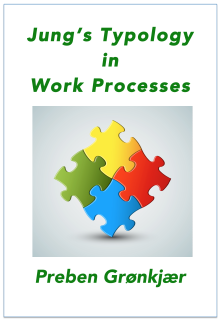 The book gives a brief description of how your typological preferences affect your efforts in work processes. Its theoretical basis is C.G. Jung’s type theory and the Myers-Briggs Type Indicator (MBTI). You can use it in your own reflections, and you can hand it out to, for example, customers, employees, colleagues, or students interested in typology in relation to their task solution. 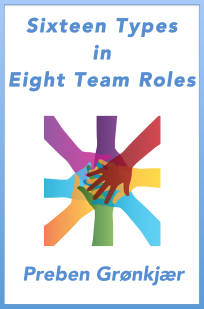 The free materials on this page can advantagely be used together with my e-book Sexteen Types in Eight Team Roles.